Miroslav Sik is a Swiss architect and professor in Architecture on the ETH Zurich. Sik is well known as a pioneer in the field of cooperative living, ‘Genossenschaften’. 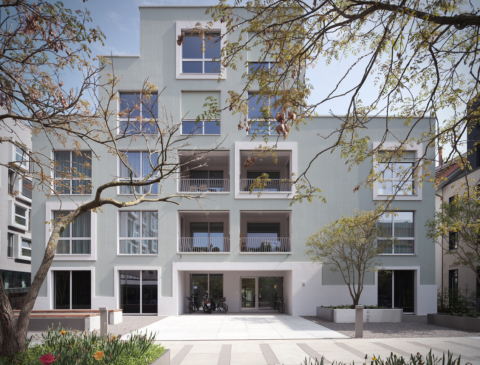 He designed for example some interesting buildings in the ‘Mehr als Wohnen’ project in Zurich. He studied architecture under the supervision of Mario Campi, Aldo Rossi and Dolf Schnebli in the 70’s. He concluded his practical studies with Helmut Jahn in Chicago. Having obtained his diploma Sik worked as a researcher at the Institute for History and Theory of Architecture (gta) at the ETH Zurich from 1980-1983, focussing on modern Swiss architecture after World War II. Since 1987 Sik heads an architecture firm in Zurich and has built two catholic centres, one in Egg in canton Zurich and the other in Morges in canton Vaud, as well as living accommodation for musicians in Zurich called Musikerwohnhaus Bienenstrasse. Miroslav Sik is considered the initiator of “Analogen Architektur”, the manifest and projects of which were exhibited 1987-1991 in Paris, Berlin, Frankfurt, Stockholm und Vienna. Happel Cornelisse Verhoeven met Miroslav Sik while doing research for Het Rotterdams Woongenootschap. They shared valuable thoughts on cooperative housing.